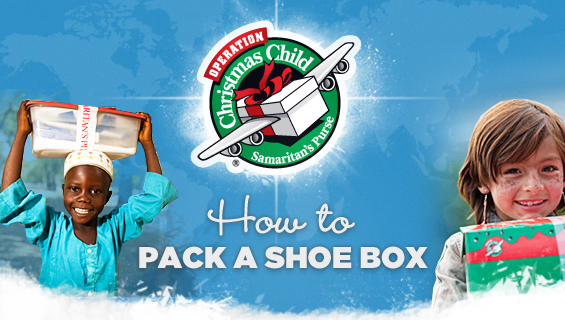 I am absolutely, 100% passionate about Operation Christmas Child. Samartian's Purse, every year, collects boxes for needy children around the world, in an effort to give every child a merry Christmas. I started with this organization back in college and there is nothing more fulfilling that knowing you are going to bring a smile to a child's face, or perhaps keep them warm when they're cold, or touch a parent's heart. Every year, around this time, I go to Target and grab two plastic boxes that are approximately the size of a shoebox. (You can use an actual shoebox, but I feel like the plastic ones are more sturdy.) I always do a boy and a girl because I always have a complex about doing a gift for one and not the other. I also choose two different age ranges. For instance, a boy between 2-4 and a girl between 10-14. Visit the OCC website to see what to pack and where to send it. There are several drop off locations to choose from, or, you can send to the national headquarters. Get the packing labels here. Don't wait! Time is of the essence. National Collection Week starts November 12th - November 19th, and it's essential the packed shoeboxes get in at that time. Also, remember to pay it forward. This is one of my favorites memories and I hope it touches your heart as it did mine!